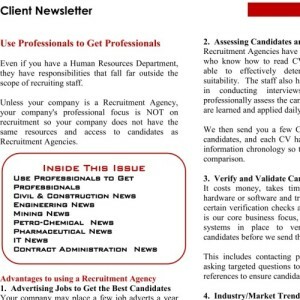 Candidate Newsletter – August 2013 Mumble, Gumphle, Bumble – It is time to speak clearly. Regulatory Affairs Pharmacists, Structural Engineers, Civil Engineers, Project Managers, Process Engineers, Safety Officers and many more candidates. 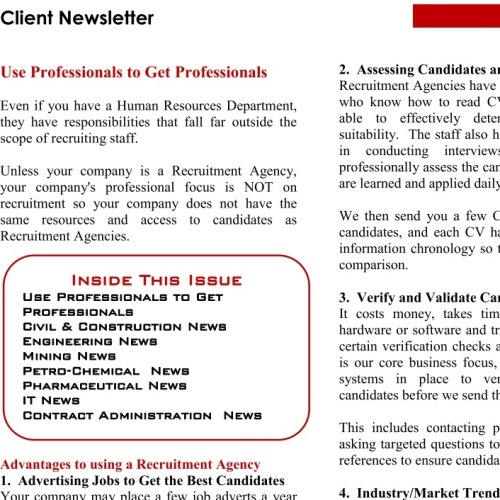 Download our newsletter for more information on these candidates.